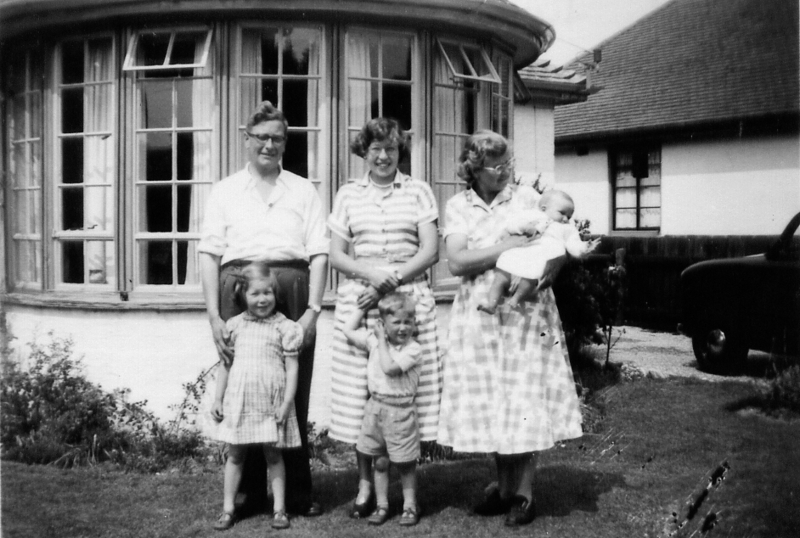 Outside the bay-window of “Peveril”, this family photograph includes Alfred and Lorna, Jan and Steve standing, and Angus the baby in Grandma’s arms. The car belonged to Alf Dutton who appears in photographs on the same day, as does Christine. In many ways, from the Barton Clay on the wellies to Carlton Avenue or Grandma’s “Peveril” in Seacroft Avenue, Barton-on-Sea, this photograph represents our childhood. 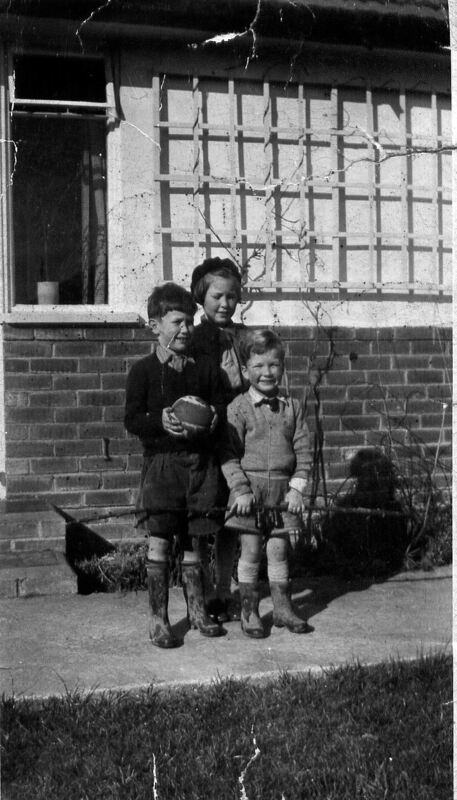 Jan in brownie uniform, Steve holding a football and Angus with binoculars and a long stick. A set of photos with Alfred “Daddy Willson.” Whenever I mention Broadstairs, Mum tells me I went there before I was born! The well-loved horse on wheels was called Dobbin, an important family character. Probably taken at Rosebank Avenue, Sudbury Hill. 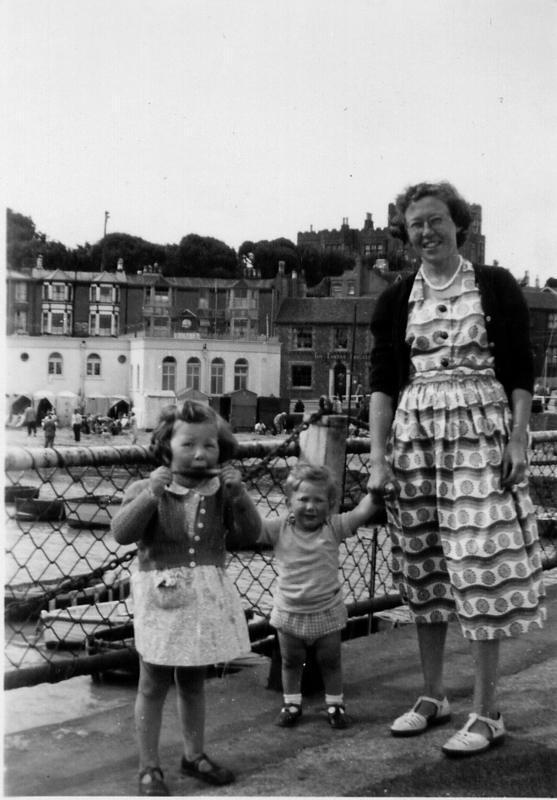 Family photo on The Jetty in Broadstairs… The Tartar Frigate pub in the background and Bleak House on the hill. This was obviously taken at the same time as the one of father-and-daughter above. Mum commented recently that she was wearing a nice dress in the photo. The Headteacher is Mr Sachs and the man behind him is Mr Belcher, for whom Lorna did supply cover. 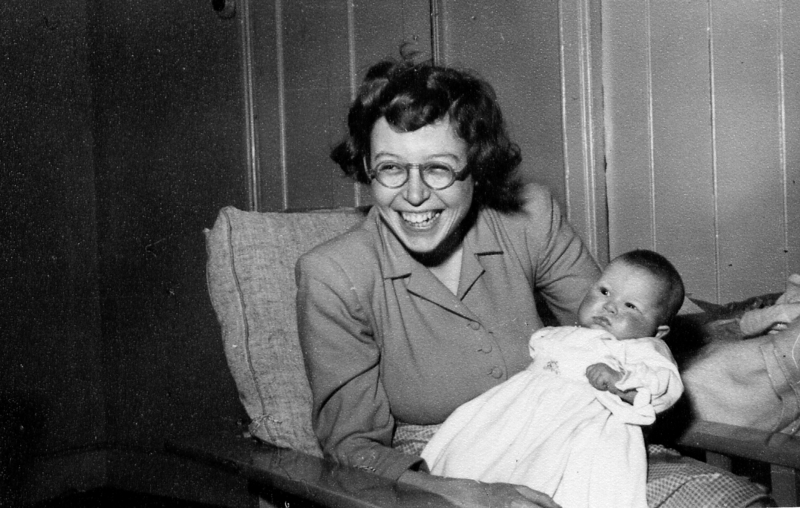 Date estimated as 1958/9. 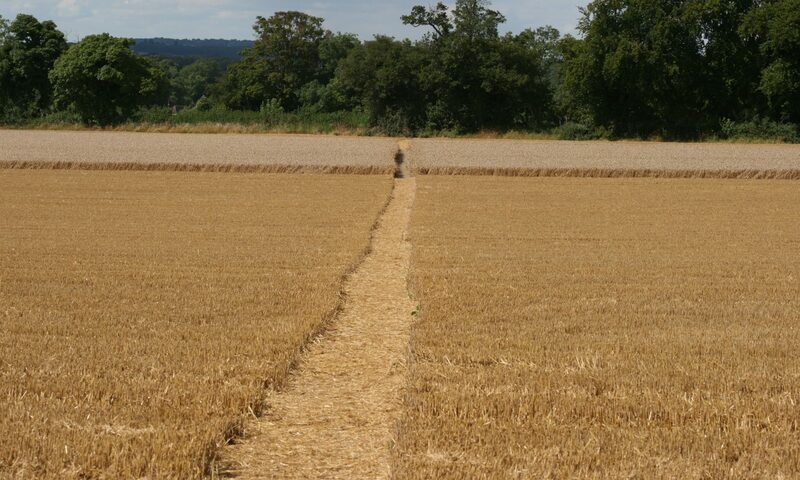 Lorna would cycle to Ashley from Barton with Angus on the back and he would then sit at the front of the class. 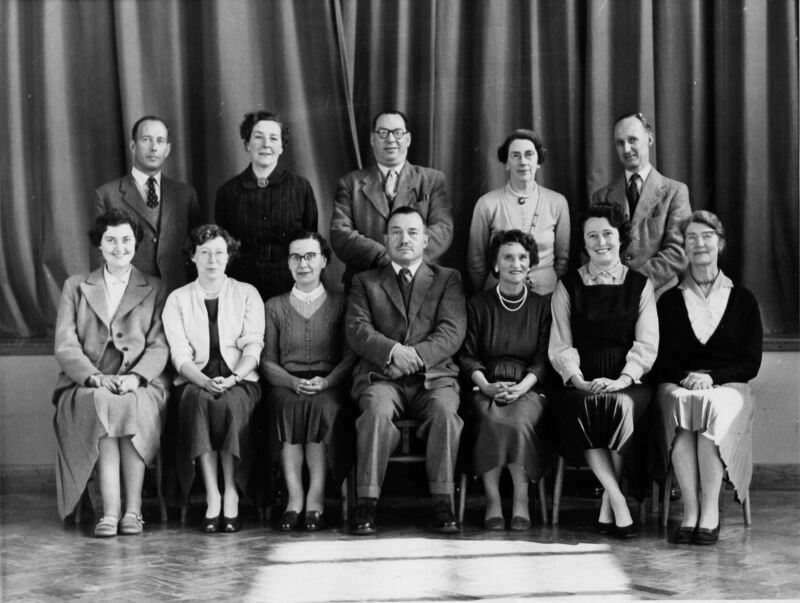 Anne Howarth is also in this photograph, second from the right on the front row.